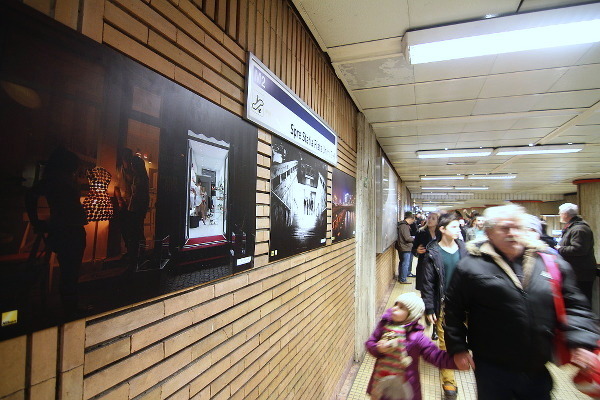 Today the “Bucurestiul noaptea” (Bucharest by night) photo exhibition opened at the subway station Unirii 1 in Bucharest. I was there with an street photo taken in the old city. People passing by can see all the photos in the following few weeks. Note: don’t be fooled by the Nikon logo appearing on my picture, they were some kind of sponsor, the image was taken with my old Canon friend. Problema veche,gasirea unui sustinator(sponsor) al unui proiect de cultura.De aici si compromisul.Succes!